Do you want to enhance your overall mood and improve your overall sleep quality? Primaforce 5 HTP is what you need to improve your overall well-being! 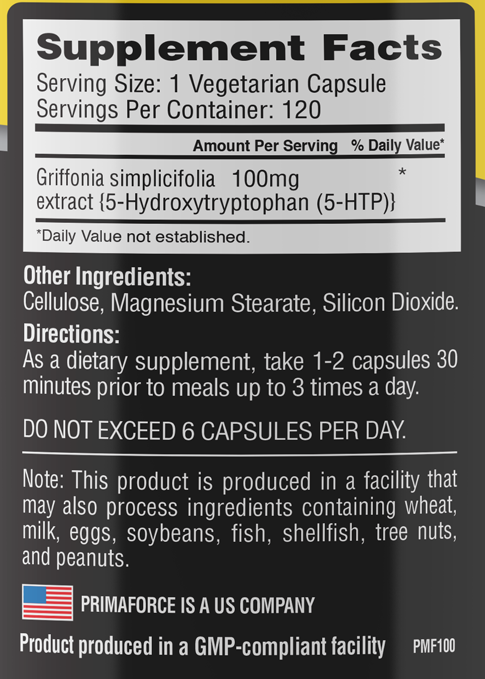 5 HTP by Primaforce is a natural amino acid extract, derived from the seed of Griffonia simplicifolia plant. 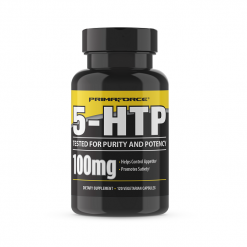 5 HTP by Primaforce can be taken as a dietary supplement as it has many benefits including improving the overall sleep quality and reducing levels of stress. 5 HTP by Primaforce can also help to reduce food cravings so you don’t throw your diet out of whack. Improving overall mood and encouraging a feeling of well-being are only some benefits that 5 HTP by Primaforce offers. 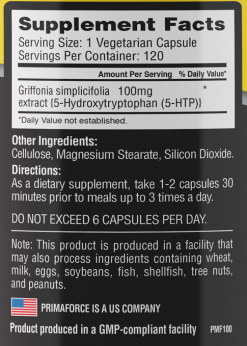 Manufacturer recommends as a dietary supplement, adults take one to three capsules daily with water, or as recommended by a health care practitioner.